* Weaned October 6th, 2017. 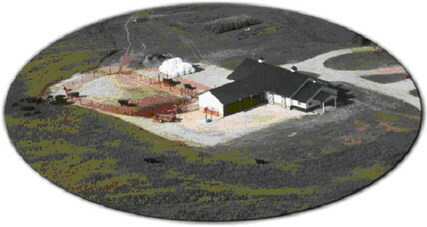 From a fancy easy-fleshing and moderate framed cow family. 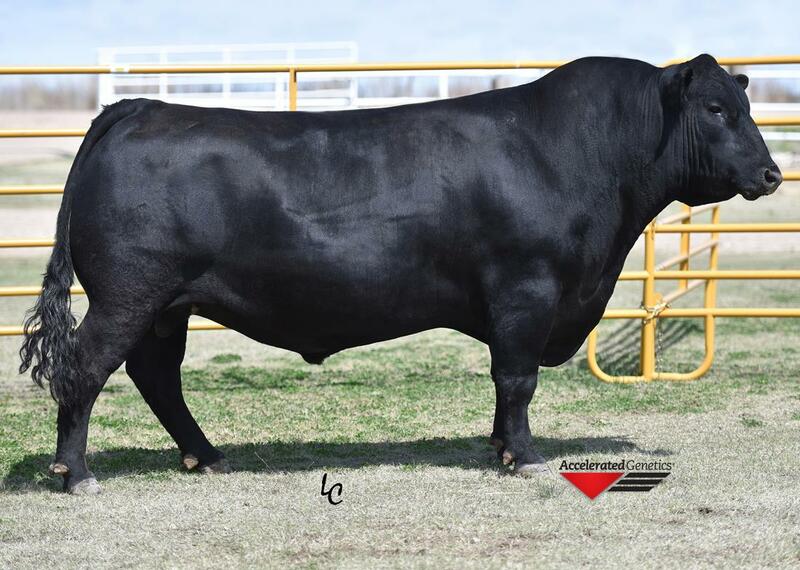 His Dam combines extra muscle, shape, and dimension with a trademark clean-fronted profile. One of those rare cows that actually looks better than her picture. 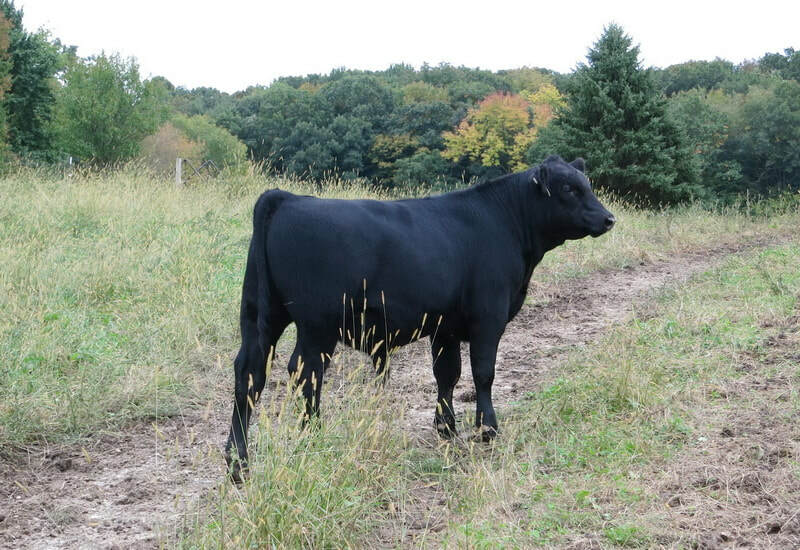 This bull is a grandson to Pine Hill Jessie, cornerstone embryo Donor Dam. His pedigree stacks an unbroken chain of A.I. sires spanning back 8 generations including 16 Pathfinders. His Dam's birth weight 67 pounds. His Grand Dam's birth weight 70 pounds. His Great Grand Dam's birth weight 68 pounds. His Great Great Grand Dam's birth weight 69 pounds. 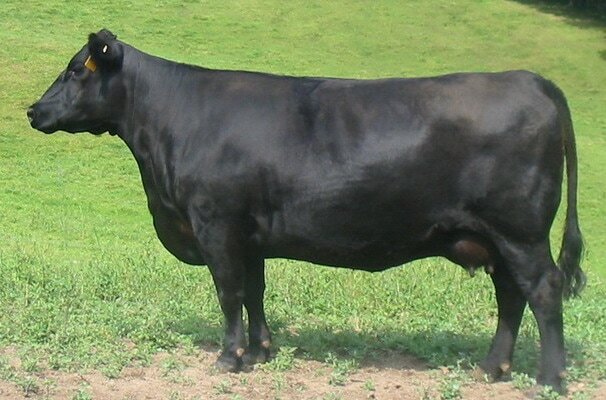 We've owned this cow family all the way back to the Great Great Grand Dam. 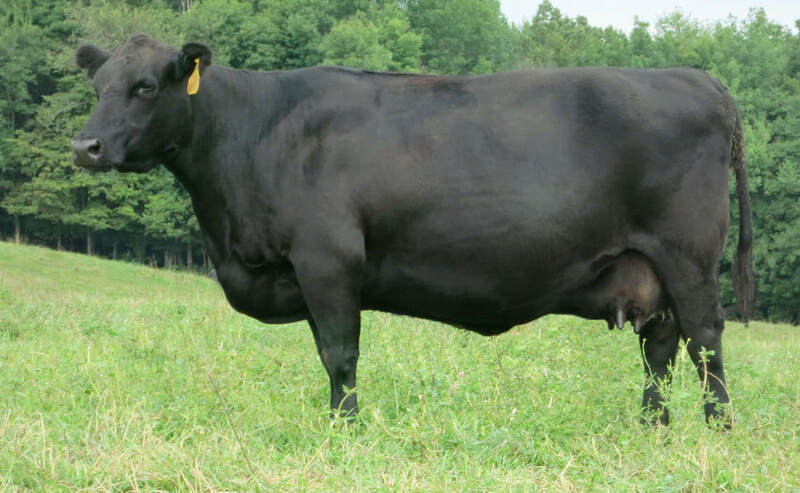 They produce low birth-weight, thick made calves with controlled frame scores and superior phenotype. 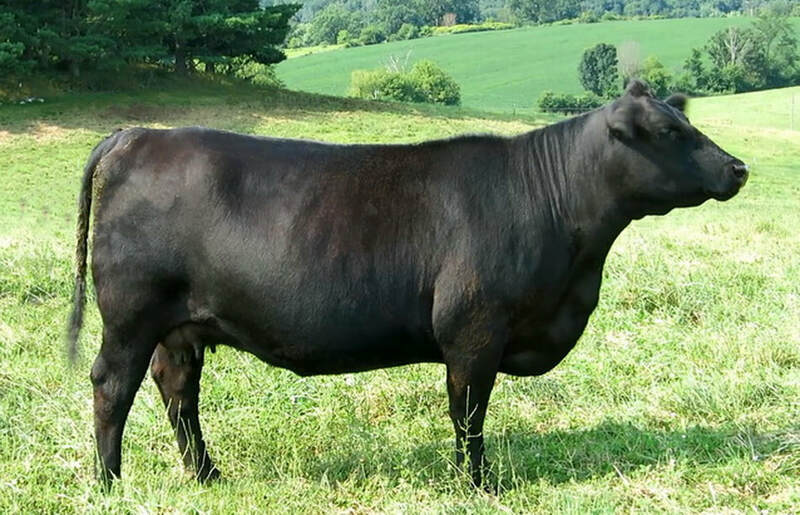 His Dam (a heifer) settled A.I. first time and on 3/10/2018 she birthed another A.I. calf, again pregnant on the first service. 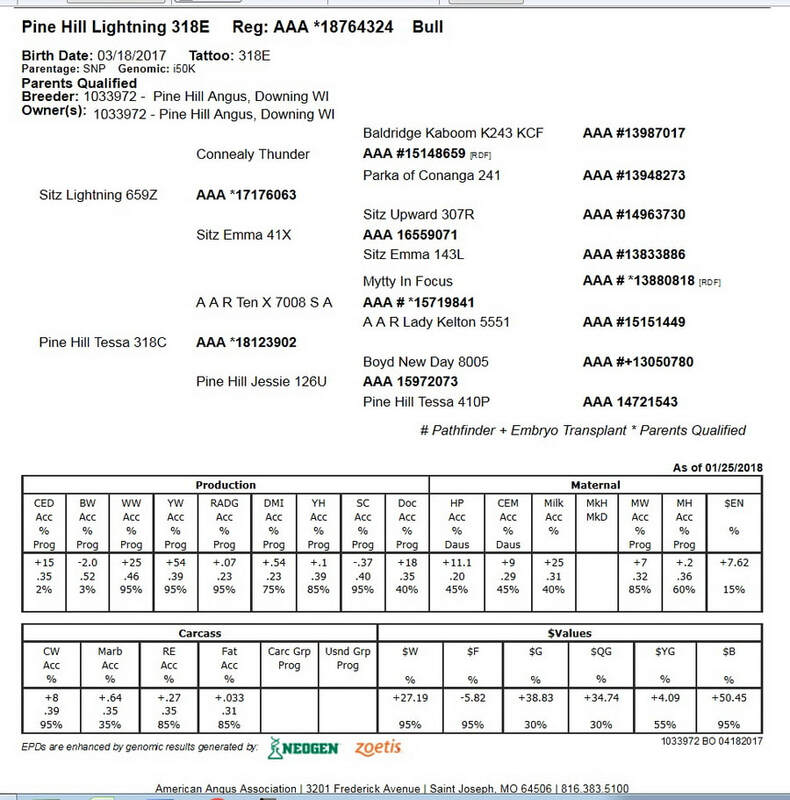 His Grand Dam is Pine Hill Jessie 126U, our cornerstone embryo Donor Dam. 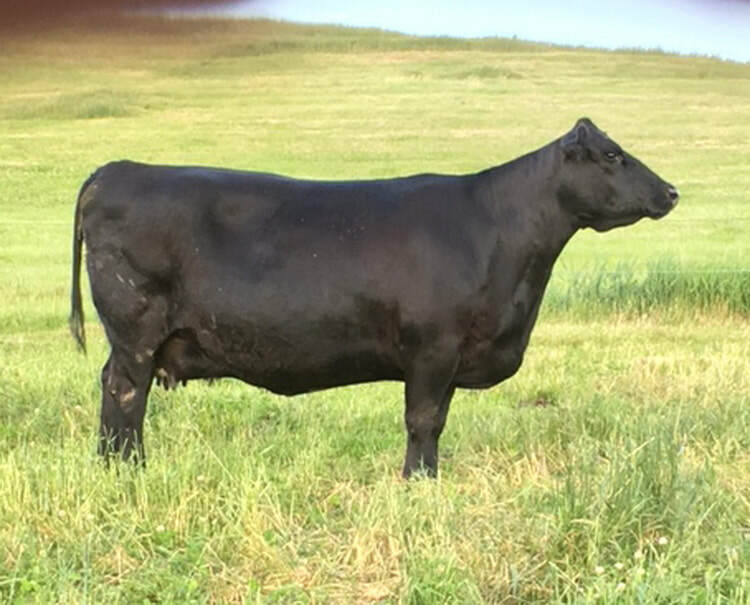 At 10 years old she is still structurally sound and still maintains exceptional feet & legs, and a picture perfect udder and still fertile with 7 of her 8 calves calves being first attempt A.I. pregnancies. 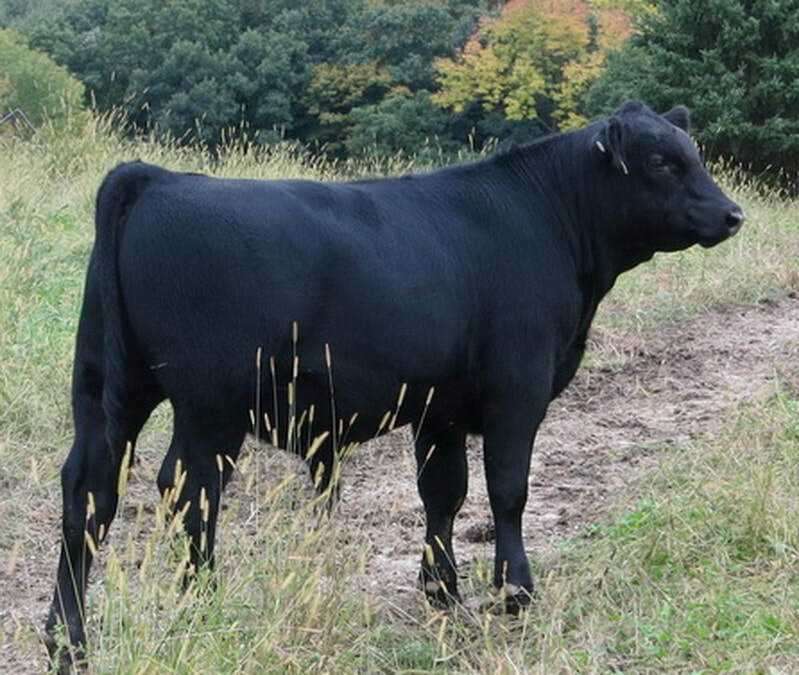 This bull will add years of productivity to your herd. 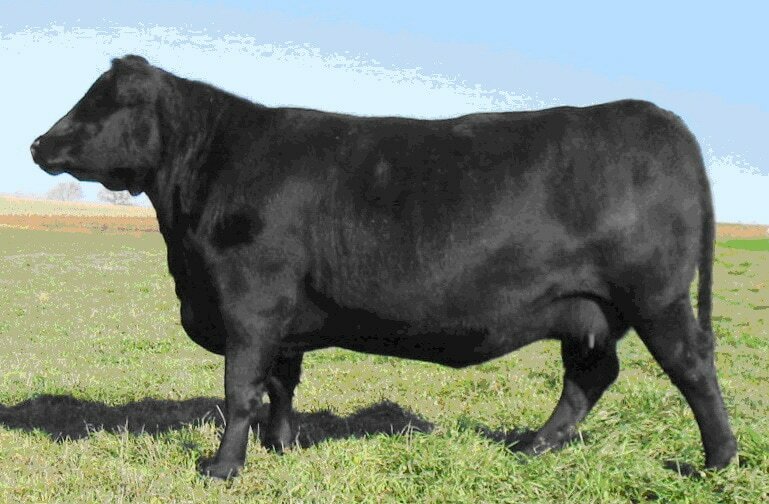 Keep his heifers for the Style, Fertility, and Longevity they will inherit. Weaning Weight: 603 Pounds on Oct 6th. 2017. Add 3 lb/day to determine approximate current weight.